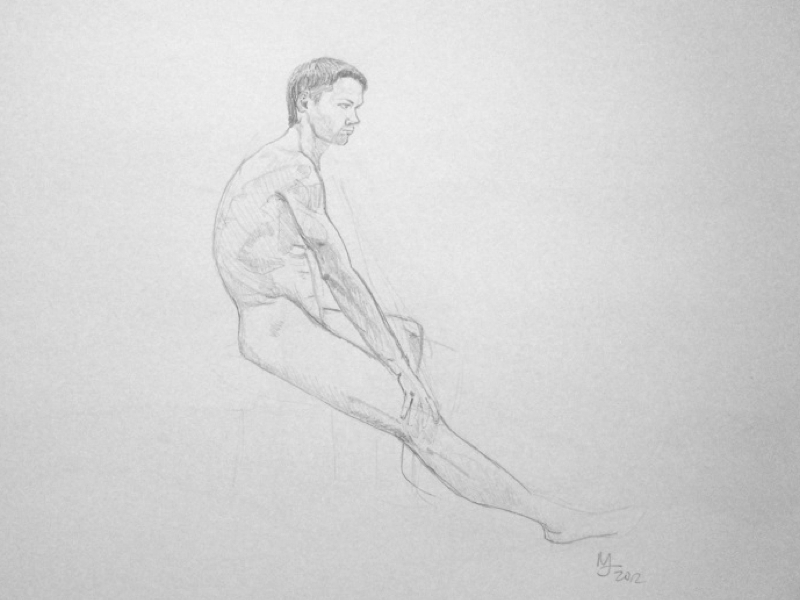 This week's model had really good 90 second gestures (shown above). I decided to use a marker instead of a pencil for this portion. I find it changes the way I draw, perhaps because I know in the back of my head that I can't erase it, I'm more thoughtful of where I draw. 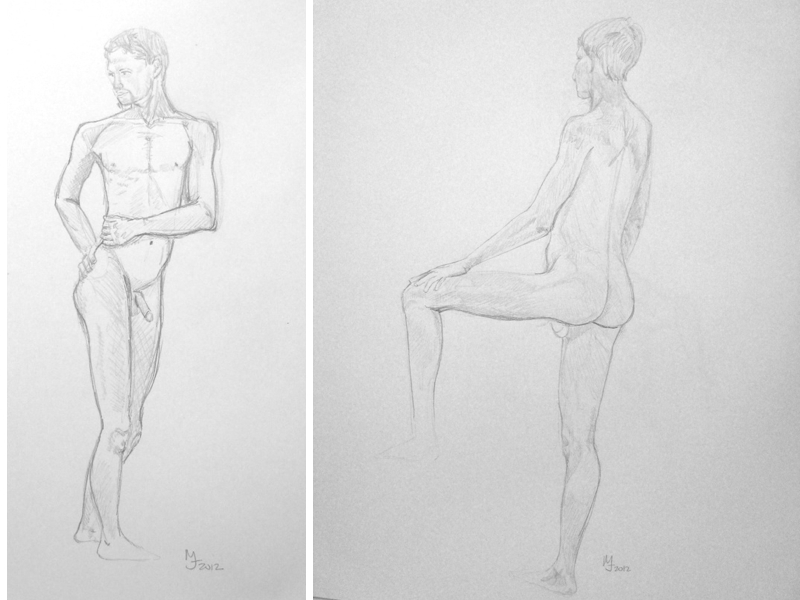 For the longer poses, my best rendering this time for me was the third one. Mind you I can see areas where I can improve, but I like the shading, hair, proportions, etc.